Freeway will undoubtedly draw comparisons to Frogger, but it has a leg or two of its own to stand on. 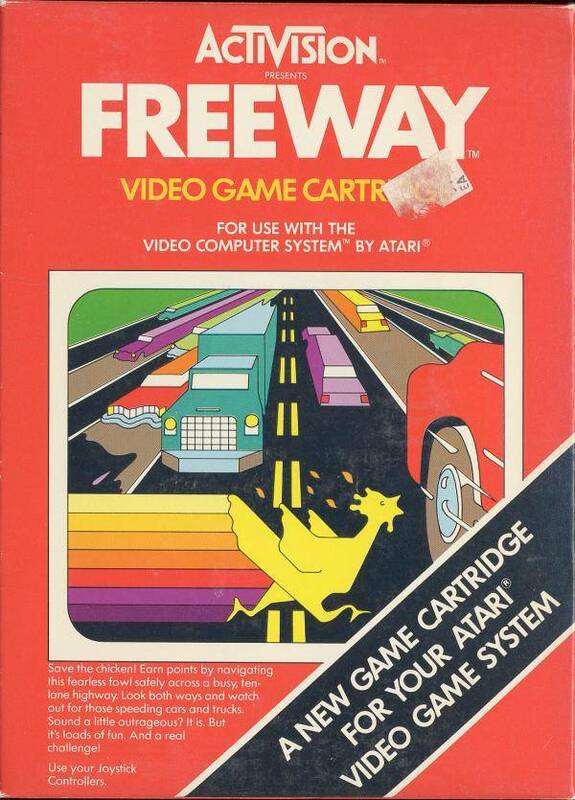 Designed by David Crane and published by Activision for the Atari 2600 in 1981, Freeway centers on the timeless question of why the chicken crossed the road. While it provides no answers, it does provide a good time. Meant for two players but playable solo dolo, the objective is to get as many chickens as possible to the other side of the freeway in a limited time frame – two minutes and sixteen seconds to be precise. Great playability and a fun premise are two positives but this game truly shines with a human opponent. With ten stages of varied difficulty, Freeway is something to crow about. 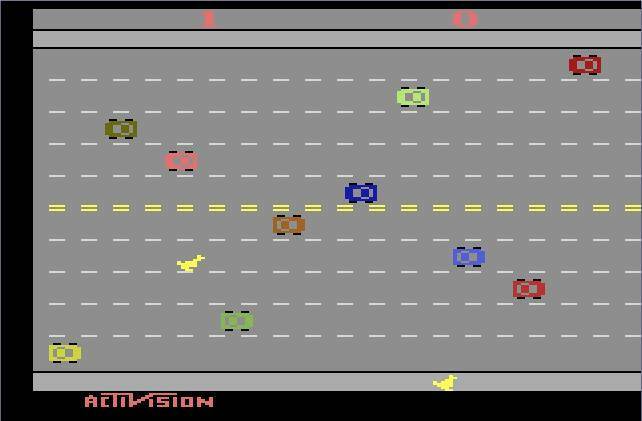 Unlocking Freeway’s original commercial and patch are two bonuses players can find in Activision Anthology. The commercial requires at least 30 points in game 1, which is attainable after a round or two, while the patch amps the challenge up requiring at least 10 points in game 3 or 7 – much more difficult, but not impossible.